Mumbai: The 2019 Rugby World Cup Trophy, the Webb Ellis Cup has reached India, after a six month world tour. Having visited several countries across Europe and Asia, the Trophy has now made its way to Mumbai, via New Delhi and Agra and will head to Bhubaneshwar before heading to Japan. Land Rover has been a proud partner of Rugby World Cup since 2011 and is once again a part of the world’s leading rugby tournament for the 2019 edition as well. Land Rover will be offering customers and fans from around the world the chance to get involved with Rugby World Cup 2019 – the world’s third largest sporting event. 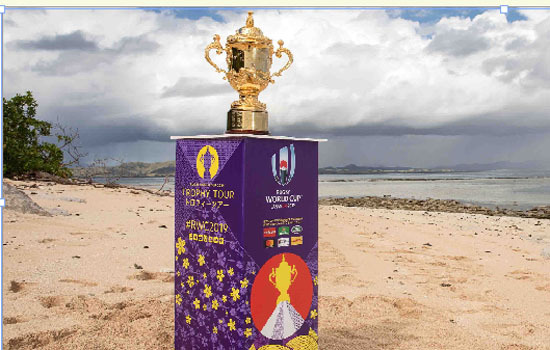 India is the eighth leg of the Rugby World Cup Trophy Tour, and will be visiting 18 countries, having begun in Uruguay in February and finally culminating in Japan in September 2019. The 2019 Rugby World Cup will be played from September 20 to November 2, 2019 with participation from 20 countries in 48 matches across 12 stadia in Japan.